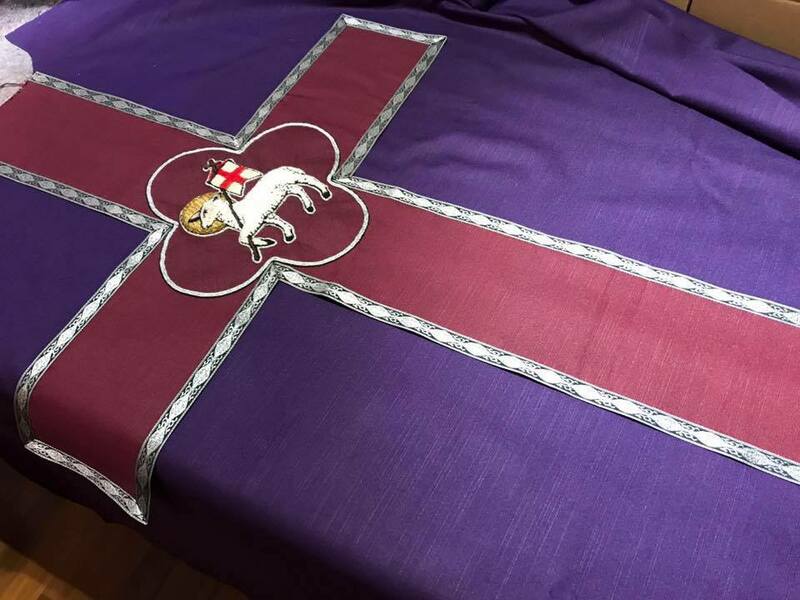 This is a project made for St James Church Batu Pahat Johor. A fine example of hand embroidery detailing the Agnus Dei. 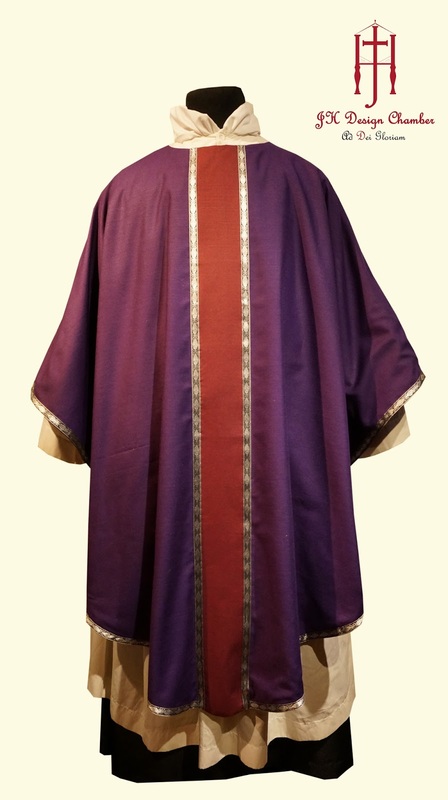 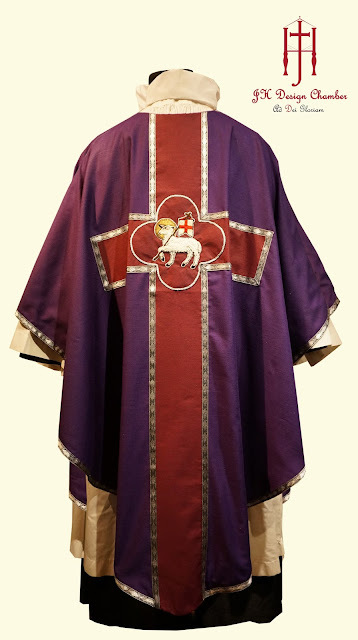 The chasuble is made of high quality cotton silk, lined with pale purple cotton. 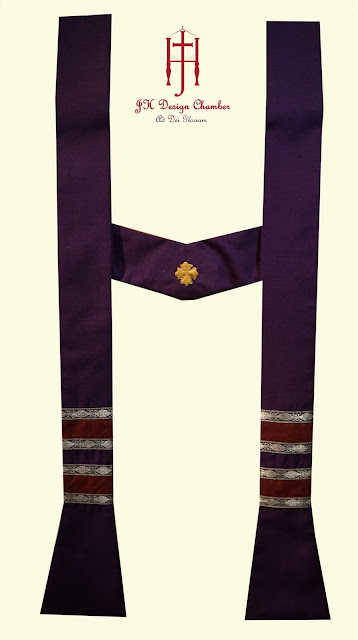 Matching stole made to complete the set.